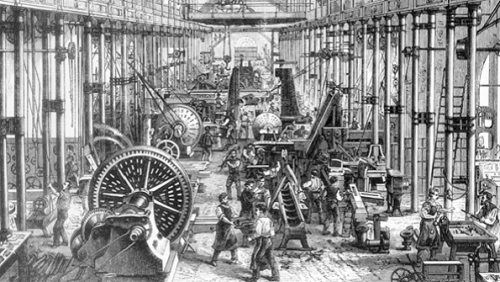 The Industrial Revolution, took place from the 1750 AD to 1950 AD centuries. During this period it had major culture changes and advances. It had a major turning point out of all the ages. The population had begun to increase exceedingly. In the 1800's the population had increased 10-fold. They developed and easier way for refining coal. starting in the late parts of 1800, the transition began.Technology had advanced. They created steamed powered ships, railways, and eternal combustion engine. This period had covered many advances out of all the ages. The Information age, also commonly known as the Computer age or Information age. Which is the current age will be characterized by the ability of individuals to transfer information freely. And to have instant access to knowledge that would have been difficult or impossible to find previously. The idea is linked to the concept of a Digital age or Digital revolution. And carries the information of a shift from traditional industry that the industrial revolution brought through industrialization to an economy based on the manipulation of information. Commonly seen as an outflow from the special age. it was known for the computer information that advanced to the effort. It had a difficult translation expanding the personal computer. In the late 1970's the internet reached its highest development in early 1990's. Although the information age is still present today be we don't call it information age.